Koh Samui, the paradise island famous for its inviting sapphire waters and white beaches offers a destination that combines pampering with tranquillity – at Banyan Tree Samui. Overlooking the scenic Lamai Bay, the resort is nestled in a series of cascading terraces on a private hill cove in the south-eastern coast of Koh Samui. Banyan Tree Samui combines the best elements of a tropical getaway with seclusion and privacy synonymous with Banyan Tree. 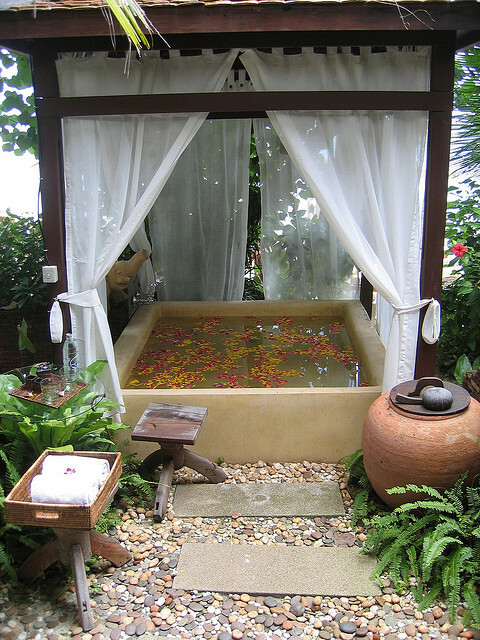 Retreat from the bustle of the outside world into a secluded haven where your days pass in a gentle flow of relaxation. Be serenaded to sleep by the deep blue swells of the Gulf of Thailand and cool sea breezes.